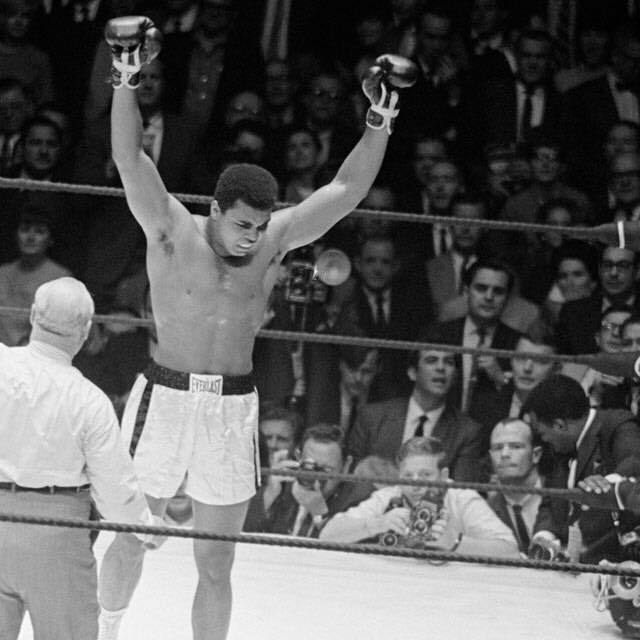 Muhammad Ali showed he was looking healthy when 'The People's Champion' took to Twitter to praise his daughter Laila Ali's new role as an NBC boxing analyst. The Parkinson's sufferer will have pleased his fans by showing his fans he's recovered from his recent stint in hospital for a urinary tract infection. The boxing legend was delighted with the news that his offspring is to be the first female pundit to join the Premier Boxing Champions team. He tweeted: 'So proud of my baby girl. 1st female boxing analyst with NBC Premier Boxing Champions. #AliTweet. 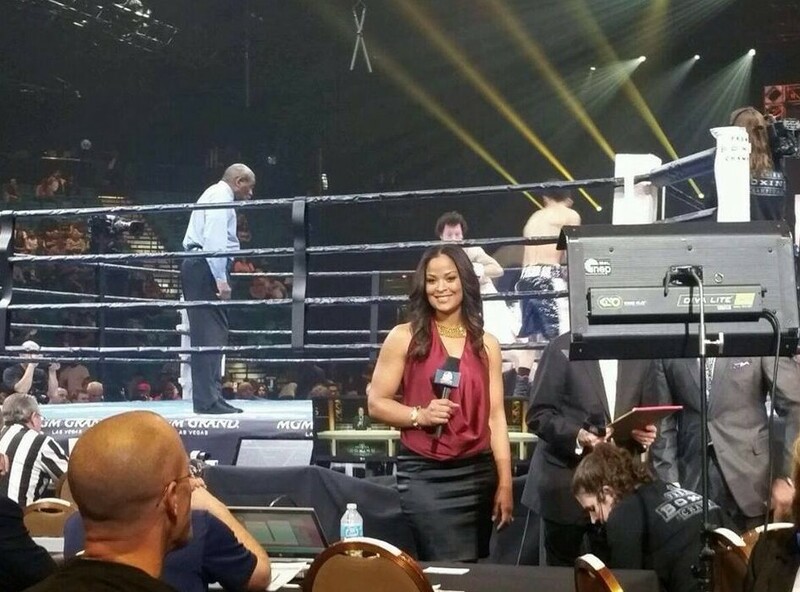 Laila, an undefeated women's boxing champion,made her debut as a corner analyst when Keith Thurman faced Robert Guerrero and Adrian Broner took on John Molina Jr. at the MGM Grand Garden Arena in Las Vegas. 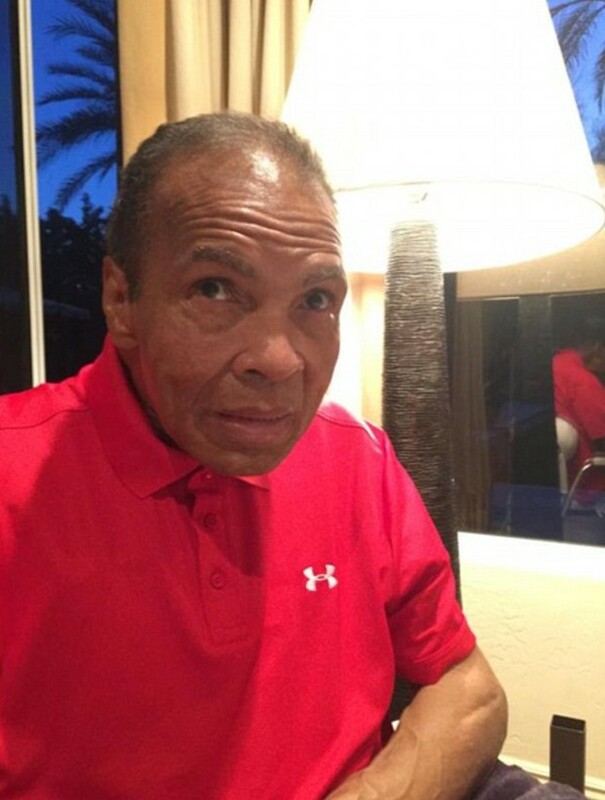 With Ali's latest snap, it's pleasing to know that the former champion of the world is in good condition and high spirits.